As major UN talks on climate change begin in Poland, UK-based oil company Shell have made a big announcement, and if you care about climate change, it’s worth getting to grips with. Reduce the ‘net carbon footprint’ of its activities, including emissions attributed to their consumers, by 20% by 2030 and ‘around half’ by 2050. Set annual targets to cut its carbon footprint, beginning in 2020 and report on progress in their annual review. Review membership of industry groups to ensure they do not undermine Shell’s support for the UN Paris Agreement on climate change. Progress on cutting carbon emissions to be linked to executive pay. It’s well worth saying that oil companies announcing plans to cut their total contribution to climate change is a good thing. It hasn’t happened many times before, and Shell is no wildcat oil producer. They’re a big deal and so this is important. Specifically, what’s good about this announcement is that it takes into consideration the burning of the oil and gas they extract, as well as emissions from their platforms and refineries. BP has sought brownie points by pledging to cut the “carbon intensity” of their activities, meaning that they would produce fewer carbon emissions per barrel of oil extracted – an approach which is entirely consistent with an overall increase in oil production. Shell are saying something quite different: they plan to reduce the overall impact of their activities. Unfortunately, that’s the extent of the good news here. Shell flare at Rumuekpe, 2009. Photo courtesy of Age of Stupid, Spanner Films. The Financial Times note that Shell will achieve their target by increasing the share of gas in its production mix from 50 to 75 per cent. The plan to increase gas production is notably absent from Shell’s official press statement. But with fossil fuel cars on the way out and gas demand expected to increase, a switch from oil to gas makes sense from a business perspective. From a public relations stand-point this is a smart move: if you’re switching from oil to gas for commercial reasons why not claim some credit for the reduction in emissions this will cause? Just to be clear: whilst Shell do not explicity mention their plan to transition from oil to gas, they also make no claim to be planning to switch into rewewable energy. The timescale announced is also panic-inducingly slow. The Scottish Government’s new Climate Bill pledges to cut climate-changing emissions by 90% by 2050, Shell plan a 50% cut over this period. Shell are pledging a mere 20% reduction by 2035 – three years after the Scottish Government target date for phasing out the need for fossil fuel-powered cars and vans in this country. These plans are a long way from being consistent with keeping global warming to well below 2 degrees as agreed in the UN Paris deal. There’s also a worry about what companies like Shell mean when they talk about net, rather than absolute, emission reductions. A carbon offsetting scheme of an unprecedented scale would be required to undo the mess produced by one of the world’s biggest fossil fuel suppliers. How much land and ocean would this privatise, and whose rights would it trample? When it comes to Shell, we should be very wary. 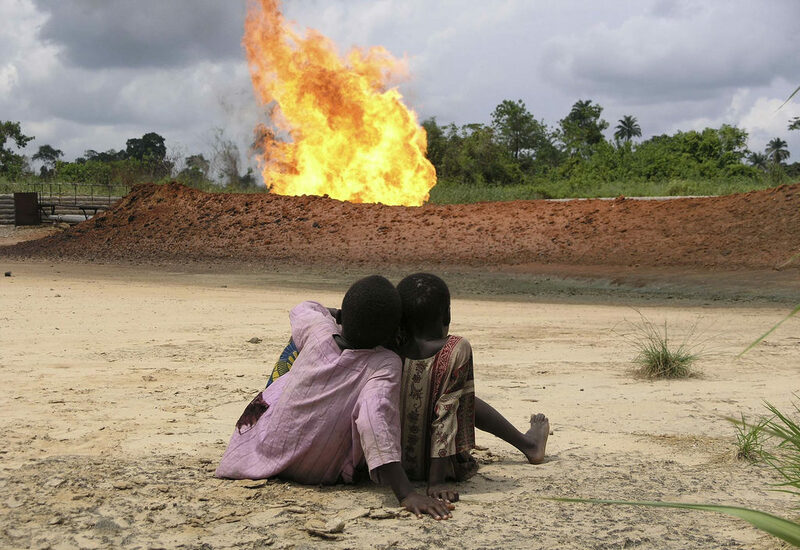 Just last week Shell were implicated in $6 billion of dollars of bribes to gain oil concessions in Nigeria where they are also linked with the assasination of local activists. Companies like Shell continue to show themselves ill-placed to fund the renewables transition, with their core business of oil and gas always pulling them back to their old ways. Today’s announcement is no different. The best realistic plan for companies like Shell would be to simply wind down their extraction activities over time to zero. We aren’t optimistic, but we are watching. Friends of the Earth Scotland, along with countless other groups, have been calling for funds to divest from fossil fuel companies like Shell, and that divestment is causing serious reflection within oil company board rooms. Today’s announcement was attributed to the lobbying efforts of current shareholders, but Shell acknowledged in their 2018 annual review that divestment is causing them trouble, harming their well curated image as a responsible company. The truth is that by setting out a plan to continue to extract fossil fuels well into the 21st century Shell will remain one of the world’s biggest climate criminals. This announcement is a small positive step, but when you are one of the world’s biggest climate polluters you need to take a series of giant leaps to undo the chaos you’re creating. While we wait for Shell to become sustainable let’s divest and put our money behind genuinely green companies. Don’t sweat it: if and when Shell make a plan to be zero-carbon, you can always reinvest.